The Turkish version of a steam bath or sauna, a hammam was originally a place for cleansing and purification, as well as other body treatments. The Turks encountered these baths, based on Roman/Greek baths, during their conquest of the Ottoman Empire. In traditional Arab quarters a hammam, a bakery and mosque usually sit together. A hammam is an elaborate domed structure, with small glass windows designed to allow light in. The marble structure in the middle of the room (or the tummy stone) was introduced by Medieval Muslims who preferred the cleanliness of running water over the ancient Roman baths. 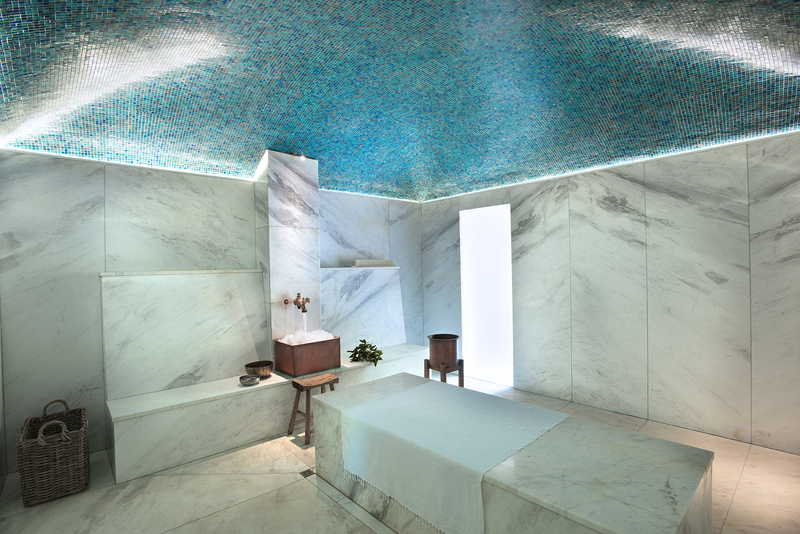 No visit to The Garden Spa would be complete without experiencing one of the various hammam treatments we offer guests. The epitome of relaxation, these treatments are designed to relieve stress and to exfoliate, massage and stimulate the body. These treatments will leave one feeling cleansed from head-to-toe. Relax in the chill room or bamboo garden and sip on some fresh garden juice. For further information find our spa menu on the website. Day visitors welcome. Do you still do the Hammam Treatment and what is the cost for 2 people? Hi Lorna, yes we still do the Hammam Treatment. Please contact our spa at 021 863 3852 to find out prices or visit our website – https://www.babylonstoren.com/experience/spa to have a look at our specials and our spa treatment menu.